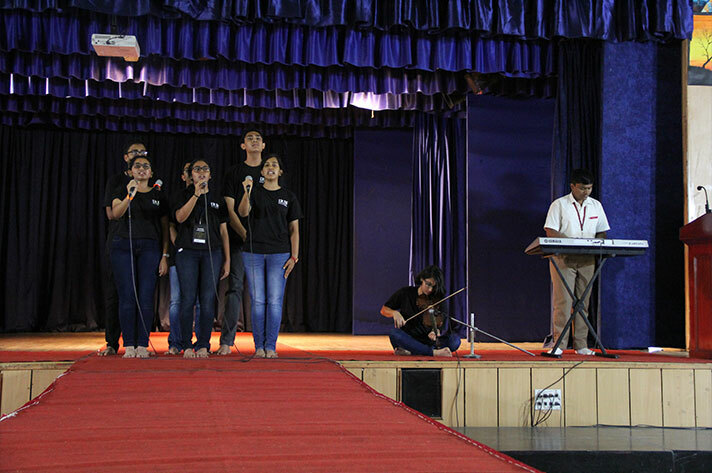 On 20th July 2018 the metamorphosis of NPS Koramangala campus into an epicenter of thriving, bustling teenage activity was a sight to reckon with. 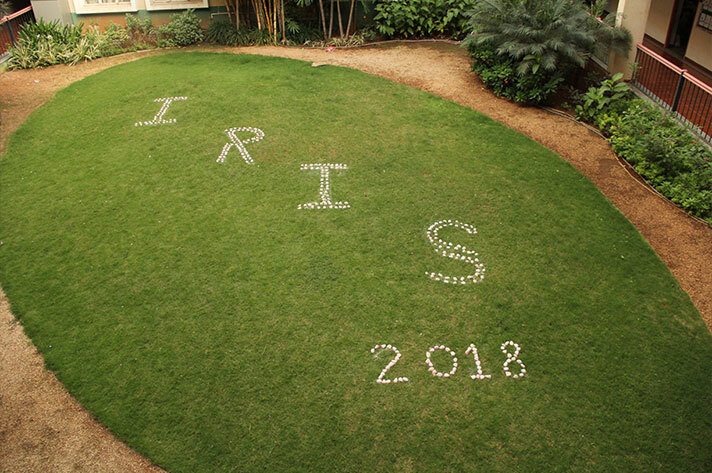 The occasion was its first ever Science and Literary Fest: ‘IRIS’ where the dreamy imagination of literature hobnobbed with the hard reasoning of practical science. 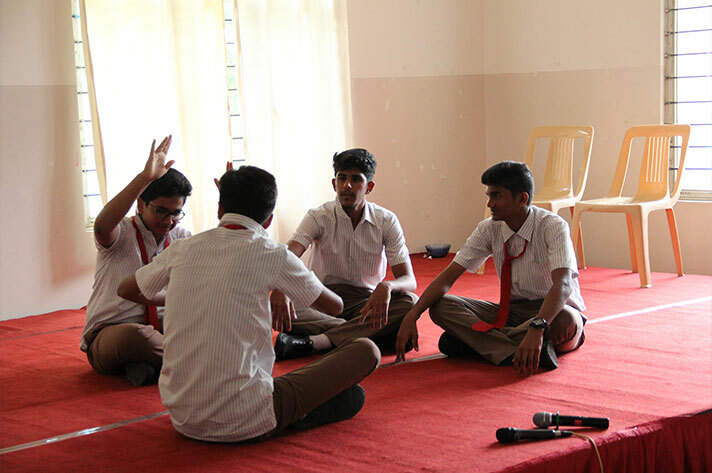 The mega event conceptualized, planned and executed exclusively by the students of grade 9, 11 and 12 was a dynamic confluence of the two life giving forces of erudition i.e. Science and Literature. 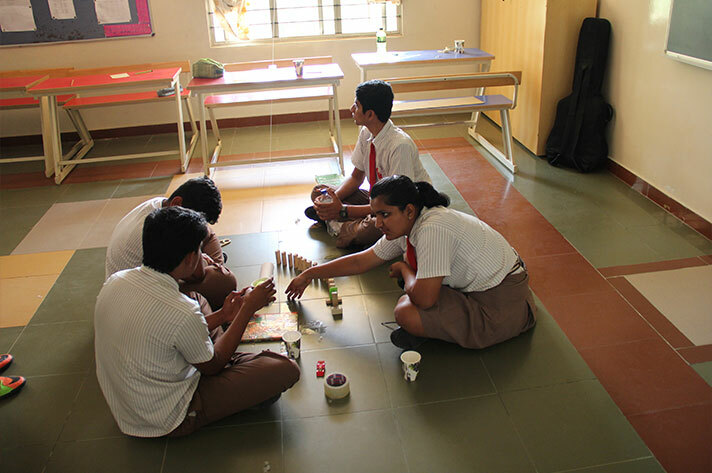 After spending long hours of deliberation, preparation and finalization of the events, students came up with 13 tantalizing events, traversing through the realms of Mathematics, Sciences, logical thinking, reasoning, robotics, reporting, writing, reciting and much more. 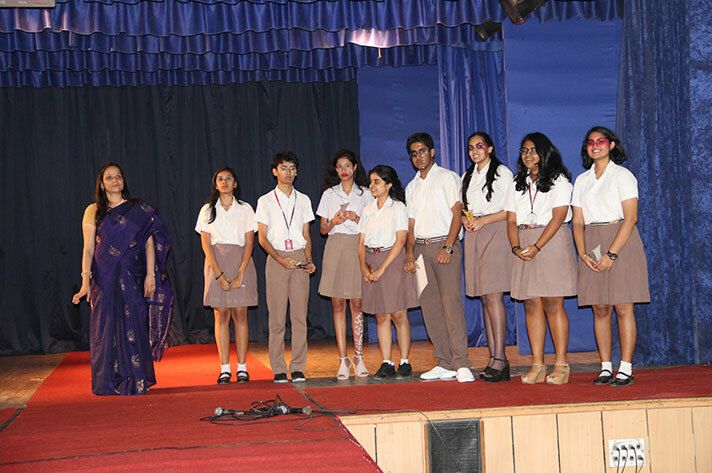 ‘IRIS’ was declared open by the Principal Ms. Jyotsna Nair. 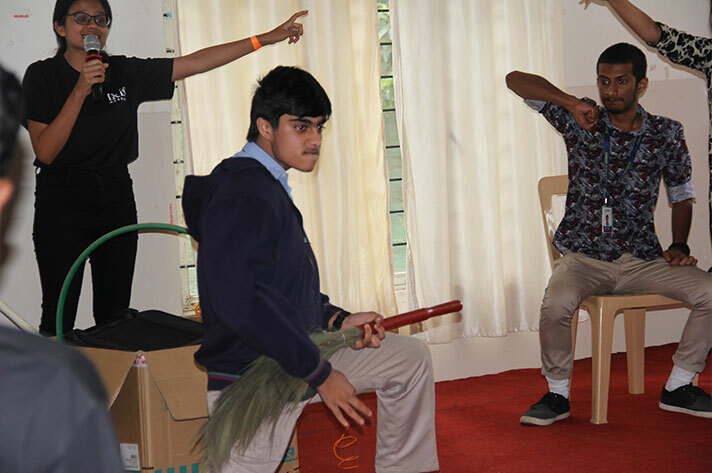 Around 391 students from 14 schools from across the city locked their horns for the 13 events. 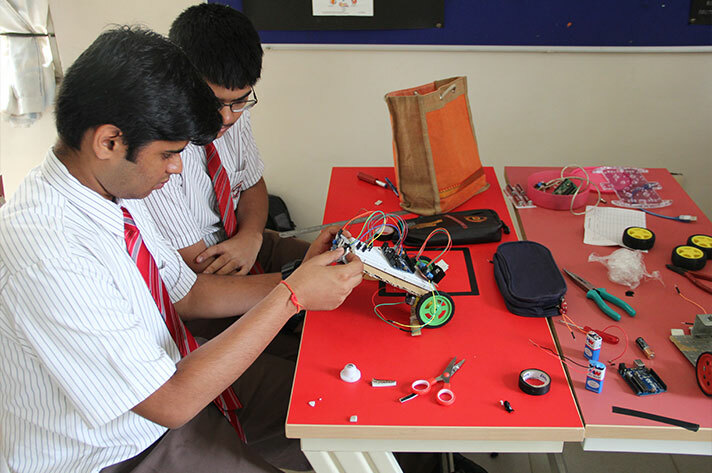 The events like Escape Room (escaping from a crashing spacecraft), Cog works (cleverly accomplishing everyday tasks) and Short Circuit ( assembling and coding a black line for robot )challenged participants’ abilities to apply concepts of physics, math, architecture, computer science along with critical thinking and creativity. Who could race against time and save a victim of misdiagnosis? Yes... the event Ms. Diagnosis dared the young medics to do exactly that. While many prospective physicians were battling with a score of diseases in one arena there were others trying to sail through the stream of ‘corrosively acidic nature of burning questions’ in Tesseract- the Chemistry quiz. There was an interesting amalgamation of unusual disciplines like literary classics and classical physics in the Treasure Hunt ‘Mind Palace’, and science and fashion in ‘Pandora’s Box’. On one side the participants raked their grey matter to recall, deduce and apply the various ideas and theories and on the other they had to spur their creative agility through flaunting a complete fashion line. 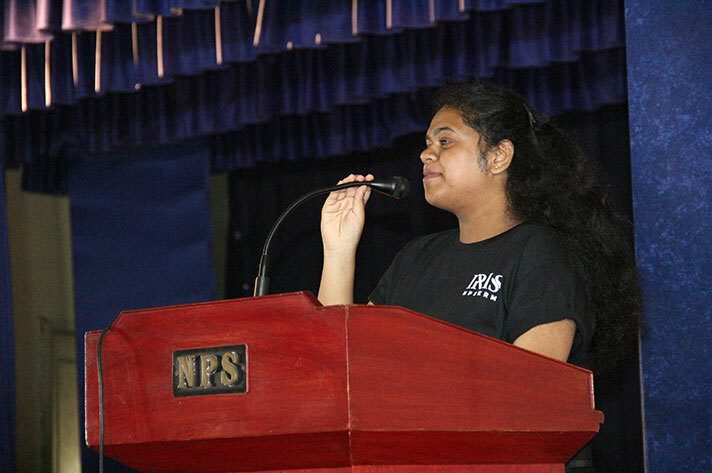 The nuances of any prestigious Lit Fest couldn’t have been more evident than in IRIS’ poem and story writing contests. Ennobling verses and narratives flowing through the hearts onto the yielding paper become immortal as they slipped through the glib tongues. It was thoroughly overwhelming to see the teams with future CEOs pitching to sell their business ideas, charting out their marketing strategies or future lawyers building their case in the Moot Court. And to cover this flurry of events was ‘Bullpen’: the journalism event that gave a live coverage of the mega event through incessant Tweets, live video recordings and finally a sensational front page for the world to see their reporting acumen. 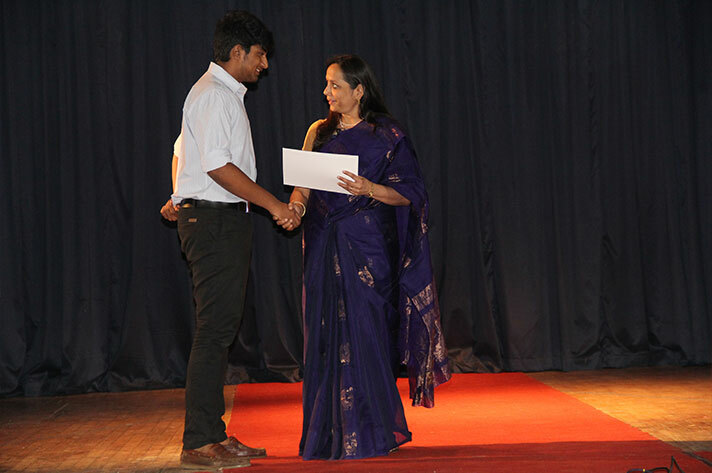 The very atmosphere of the campus was oozing with thrill and competitive spirit. Numerous competent teams were furiously vying to win as their fates were dangling precariously on the precipice of success. Finally, after many gruelling rounds in various events came the moment of aching suspense: the results. But not before the final round of ‘Pandora’s Box’ i.e. the keenly awaited ramp walk. 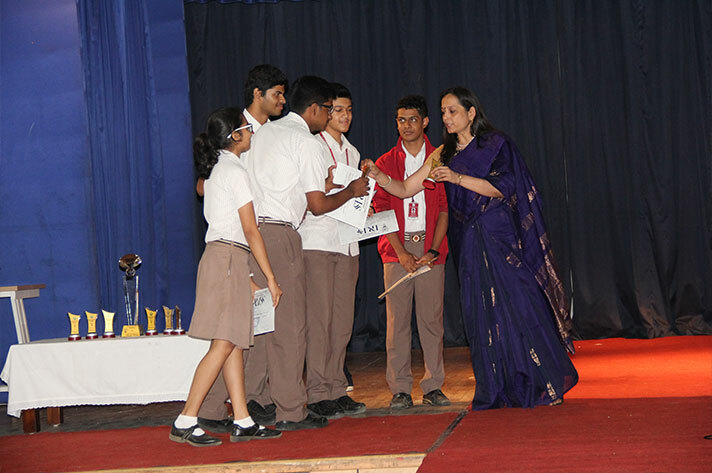 All the teams competed zealously and earned many trophies, however, NPS-Indiranagar emerged the winner by clinching maximum points and the coveted Rolling Trophy for the year. 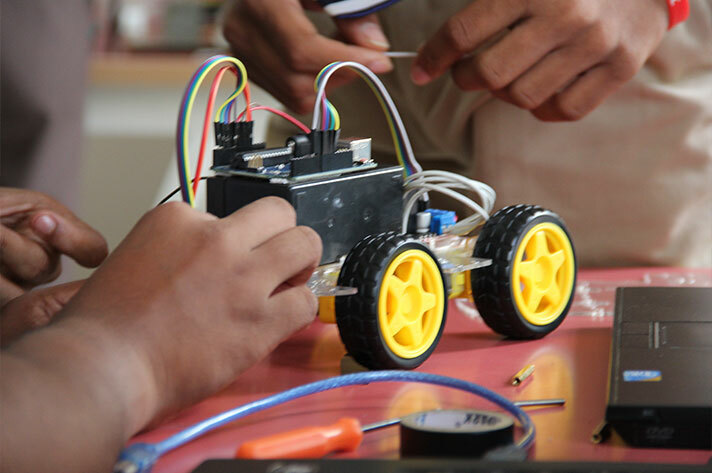 On the whole, it was great learning and fun filled experience for all the participants.